2017 is here and while the world is thinking about their resolutions, all my thoughts of next year are on travel! Last year I was able to add two new Muslim majority countries (Tunisia and The Maldives) to my list of countries visited. I also visited Kenya and Sri Lanka, both who have large Muslim populations. I truly believe that people have a very negative feeling about travel in these regions of the world. I also recognize that there are conflicts happening in many Muslim majority countries. With that being the case I challenge everyone to consider visiting a Muslim majority country this year. I asked 16 other travel bloggers to share their experiences in Muslim countries to give you a wide range of opinions. Here are there 17 suggestions to get you started on your travel planning journey! Don’t want to scroll? No problem! Click the country name below to find out more. To be honest, Azerbaijan is not an ordinary holiday destination. But those who nevertheless travel to the country in the South Caucasus region can expect some truly amazing travel experiences. Baku for example is a vibrant capital city that comes up with a UNESCO protected old city, but also with the most modern architecture like the iconic Flame towers or Heydar Aliyev Centre that was designed by Iraqi-British architect Zaha Hadid. Further west, one can find the most remote mountain villages in the wild Caucasus. Azerbaijan is a country that is torn between the East and the West and thereby between modernity and tradition. A month travelling independently through Bangladesh left a lasting impression on us and ranks as one of our all time travel experiences. Initially, we struggled to pinpoint what it was that we enjoyed so much about the country. In truth, Bangladesh doesn’t have the multitude of historical sites or the awe-inspiring scenery that neighbouring countries do. But we soon realised that one of Bangladesh’s biggest stars is its people. It’s always a bit of a cliche when visitors rave on about a nation’s people, but in Bangladesh is truly is the case. Everywhere we travelled, people approached us with smiles and questions. People bought us tea and snacks on the trains, helped us with public transport and invited us to their homes. The number of people who wanted their photograph taken was incredible and we came away with some of our best ever portrait photos and hundreds of selfies! Our visit even inspired us to write one post entitled ‘Are the People of Bangladesh the Friendliest in the World?’ and another on our crazy experiences of the Bangladeshi selfie! “Everyone is welcome here” our taxi driver shouted from the front seat, swerving around cars at an undoubtedly illegal speed. Looking out the window, at the eclectic mix of people that lined the streets of Sarajevo, I knew he wasn’t lying. Bosnia and Herzegovina doesn’t get too much coverage. Beyond its tragic and relatively recent history of Genocide, it hasn’t exploded onto the world tourism stage yet, but I have a feeling that will change soon. Between the red rooftops and old bullet holed walls of the capital, it was that welcome nature which made me fall in love with the country. No matter where we were, or how remote, hospitality and genuine warmth was forthcoming in every person we met. Then there is the sheer beauty of the place. 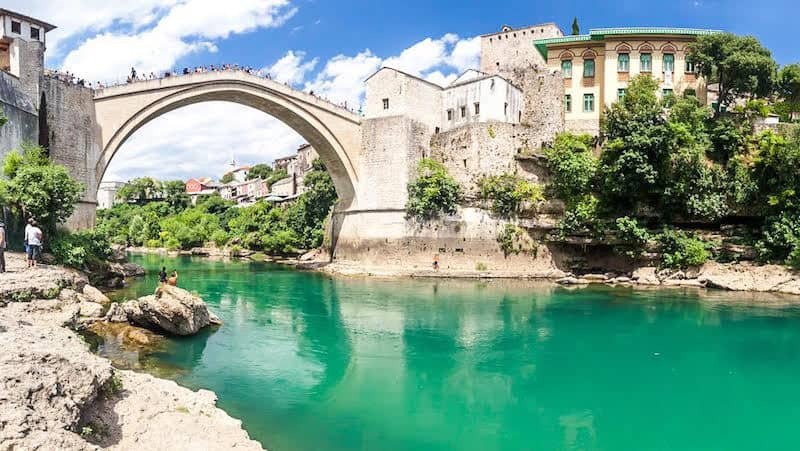 The colour of the lakes look like they have been photoshopped in real life, the historic bridge of Mostar will mesmerise you, the incredible views over Scit, Jablanica and Piva could be straight out of a movie set. I promise you, a road trip through Bosnia and Herzegovina will steal your heart and is worthy of any ‘bucket list’. Despite recent civil unrest Egypt remains an amazing travel destination and is very easy and cheap to travel even in major cities. We felt completely safe travelling in Egypt and used the local trains and buses to travel between cities. The easiest and most efficient way to get around is using Uber as it is cheaper than taxis and there are no language issues as you input your pick up and drop off locations. We absolutely loved exploring the ancient history and enjoyed seeing many of the sights without other tourists about, including the Pyramids of Giza! 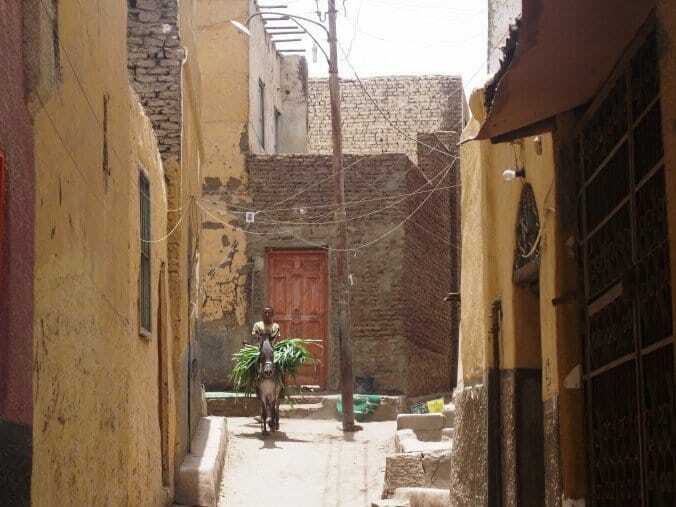 Most Egyptians were friendly and helpful, especially in the South such as Aswan. We were there during Ramadan which made for an interesting eating experience (Muslims eat and drink nothing during daylight hours). But after nightfall there were plenty of new and delicious foods to try. Indonesia is probably our favorite country in Southeast Asia. This vast country of over 13,000 islands hosts unimaginable biodiversity and cultural variety. Indonesia is also famous for being the land of active volcanoes, which shape the landscape day by day. It would be hard to decide which island to pick from those we visited. 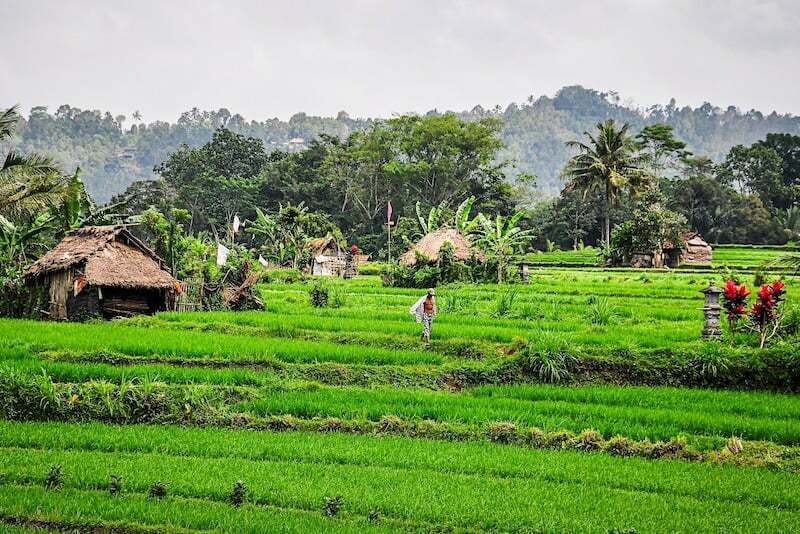 In Bali we were amazed by lush green rice fields, countless beautiful Hindu temples, and the fascinating culture we experienced. We had some of our most relaxing moments on the Gili Islands near Lombok enjoying our time on white sand beaches and snorkeling with huge marine turtles. In Java we were charmed by ancient architecture in Borobudur, the largest Buddhist temple in the world, and we felt fragile looking into the crater of an active volcano in Mount Bromo. In Sumatra, probably our favorite island, we had the pleasure to get deep into the jungle to see wild orangutans in their natural habitat. Whenever people ask me what was the most hospitable country I’ve visited, my answer is always Iran. We spent 2 weeks in the country in early 2015, and every day we received at least 2 dinner invitations and we were offered countless cups of tea. And no, this wasn’t a ploy to get us into a carpet shop. Iranian hospitality comes from the bottom of locals’ hearts. They want you to feel safe and welcomed, and have a good time in their home country. The country is so large and varied I have no doubt I will be back. 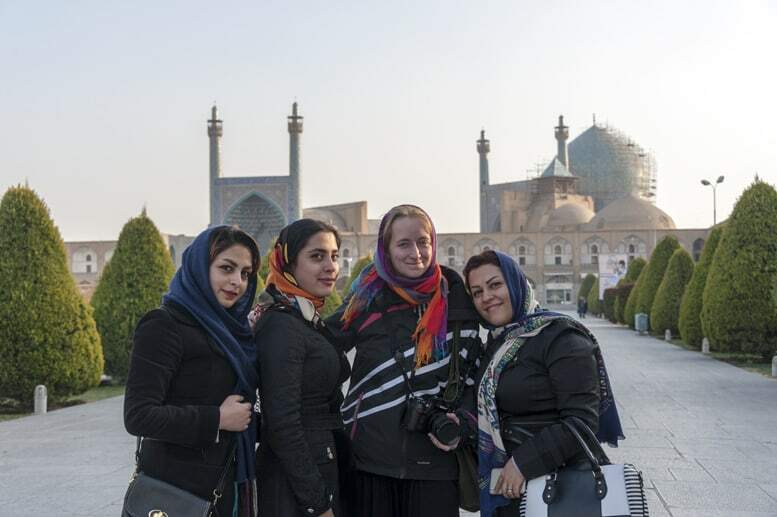 There are so many things to do in Tehran you can spend 2 weeks in and around the city alone – but I would also recommend to visit Isfahan, Shiraz and Yazd, and the desert just outside Yazd. I’m already planning my second Iran trip! 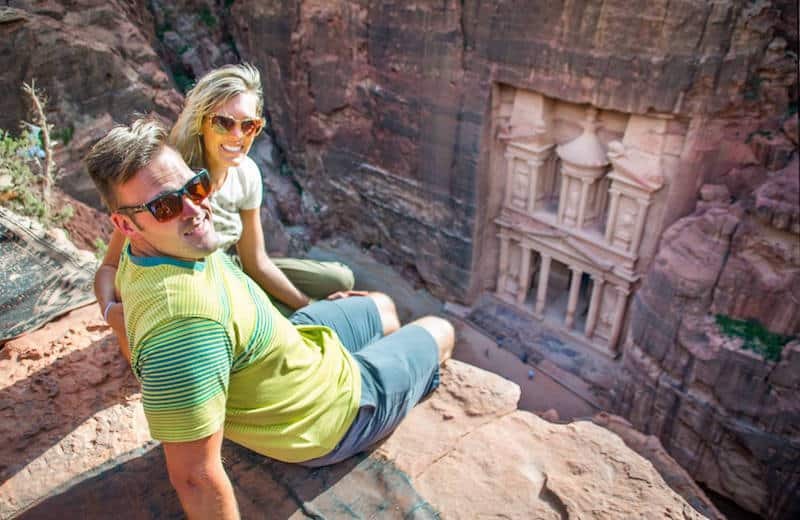 We visited Jordan this past year and our only regret was not having enough time there. Jordan has so much to see and the local people were so welcoming. Petra was everything we dreamed of but we were amazed by Petra by night when it’s lit up by thousands of candles, it’s even more magical. We spent our nights at a Bedouin camp getting to know the local people and eating some of the most amazing food. A jeep tour or scenic flight out in the Wadi Rum is a must, this place is hard to describe it looks out of this world. If you have time don’t over look Jerash there are some gorgeous temples. We was just really blown away by Jordan, and can’t wait to get back. Known to most as the home of Borat, Kazakhstan is a massive country in Central Asia. Due to its Muslim majority and its name ending with “-stan”, many think Kazakhstan is a dangerous destination. Far from! Kazakhstan is incredibly safe, and its people are possibly the friendliest of all Central Asian countries. 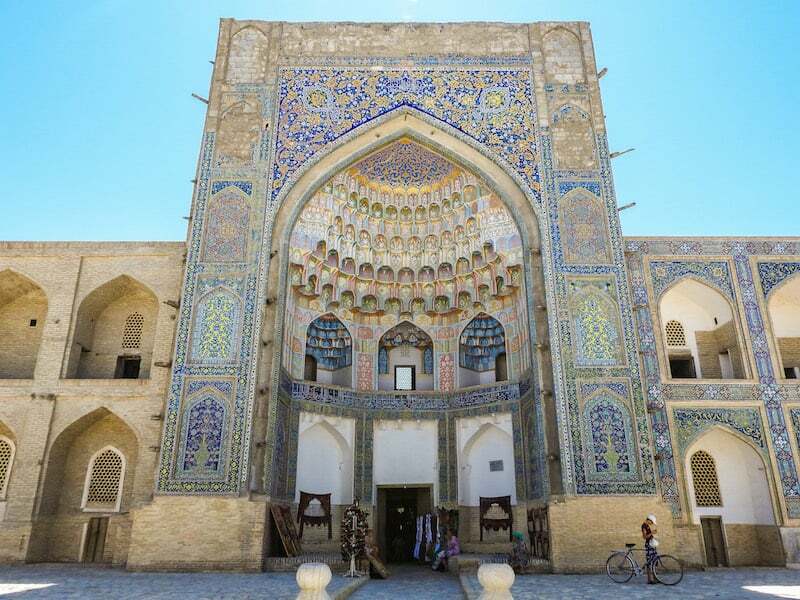 No need to fret about offending religious customs: Kazakhstan is a secular country, and Kazakhs practice a very relaxed, moderate form of Islam. Drinking is commonplace, as are short sleeves and skirts. As for sightseeing, Kazakhstan has something for every kind of traveler. Astana and Almaty, its two biggest cities, are incredibly cosmopolitan; Astana is set to host the World Expo in 2017. For adventure travelers, Kazakhstan’s vast wilderness has rolling steppe, towering mountains, and golden plains for those willing to venture into its depths. Convinced yet? Visit Kazakhstan in 2017! Before my trip to Lebanon everyone around told me I’m crazy or stupid to go there, after all we see the country in the news only in the bad light. I must admit this played tricks with my mind a little bit but I still decided to go. Very quickly it turned out there was nothing to worry about! Sure, there are areas of Lebanon that should be avoided but if you follow locals’ advice on safety you will be just fine! I’ve spent a week in Lebanon and never felt in danger. The country is amazing to visit, with old monuments, beautiful landscape, friendly people, vibrant capital and food to die for! 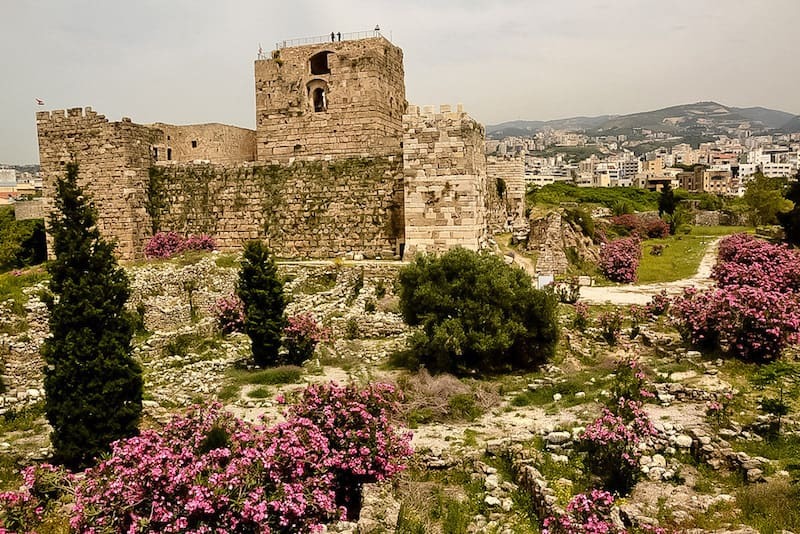 Don’t listen to all the prejudices about Lebanon and just plan your trip there – I bet you will enjoy the country as much as I did! 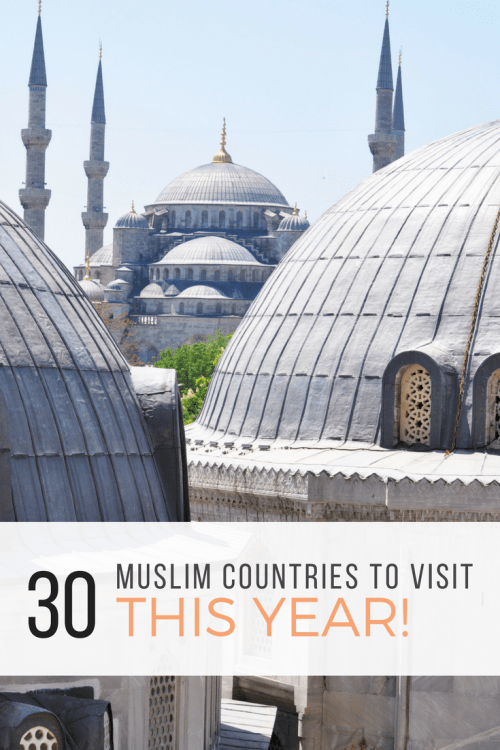 I couldn’t make this list without including my beloved Morocco. 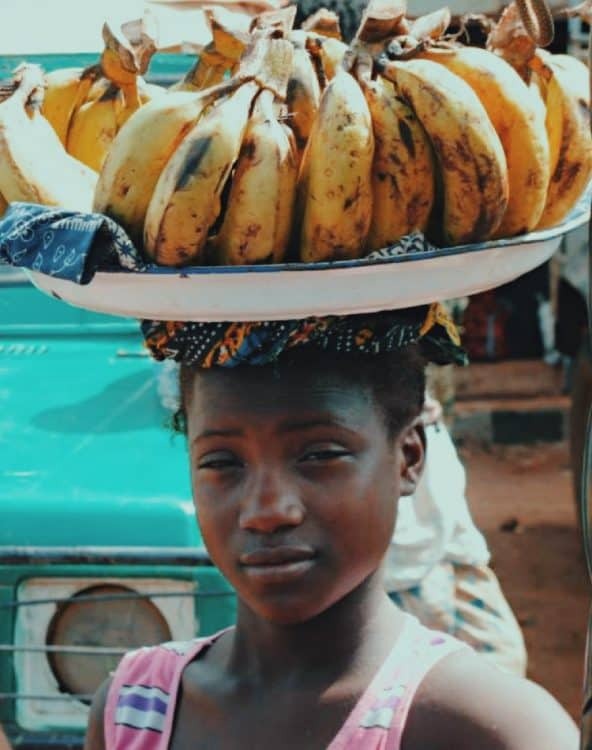 A country that straddles the cultures of Africa, the Middle East and Europe it is truly unique. Unlike many of its neighbors Morocco has had no serious security concerns and is more developed than many other North African countries. You can see varied landscapes; from moon like desert scenes to towering snow-topped mountains, and surfers hitting the Atlantic waves. With so much variety you won’t get easily bored. It’s also incredibly easy to reach from Europe with dozens of low-cost flights flying to Morocco every day. Malaysia is one country that I would visit time and time again. It is a Southeast Asian country occupying parts of the Malay Peninsula and the island of Borneo. Being a solo traveler, this is one of the countries that I feel safe and confident. Boating it’s beautiful beaches, spectacular rainforests, Malaysia stands out with respect to its tourism and has a lot to offer. It has a mix of Malay, Chinese, Indian and European cultures. It is also famous for its skyscrapers and busy shopping districts. I would definitely recommend Malaysia as part of every traveler’s country to visit. Located South of the Arabian Peninsula, the Sultanate of Oman is a world of raw nature, stunning modern architecture and long history. 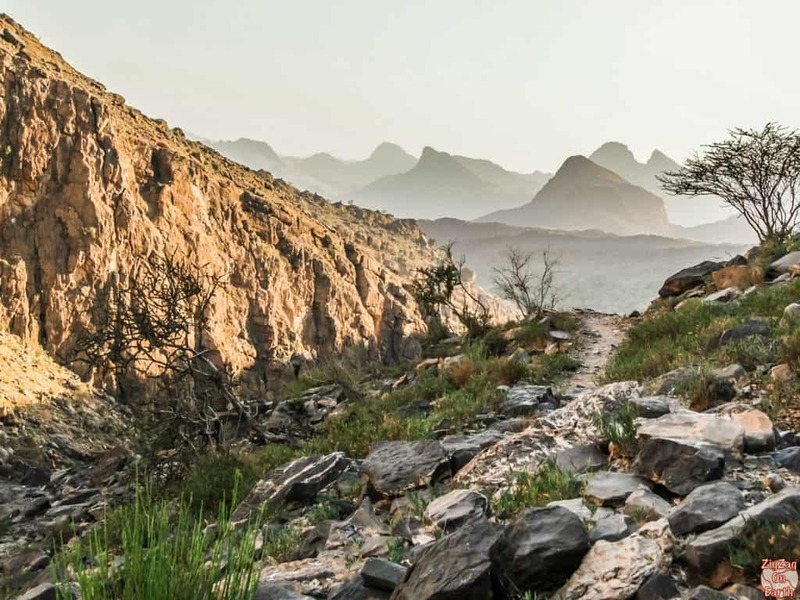 From the immaculate white of the Sultan Qaboos Grand Mosque to the old mud brick houses up in the Jebel Akhdar Mountains, there is much too see in Oman. Do not miss the orange sand dunes of Wahiba Sands, the fjord-like area of Musandam, the Unesco site of Al-Ayn and the turtles nesting on the beaches near Sur! What I felt when traveling in Oman was peace and connection to Earth. People kept stopping to help us, it was very sweet; and, the landscapes being so harsh, they are preserved in their natural beauty. This is all you need for a wonderful trip in 2017. It comes as a surprise to many that there are some parts of Palestine that are actually safe to visit. Gaza remains off-limits to visitors, but the West Bank is a relatively safe and stable region that’s easy to reach from Jerusalem. Despite the conflict and unrest that is so often associated with the Palestinian Territories, the state is filled with many sites of religious and historical importance – that a world far too absorbed by the other end of Palestine has yet to notice. 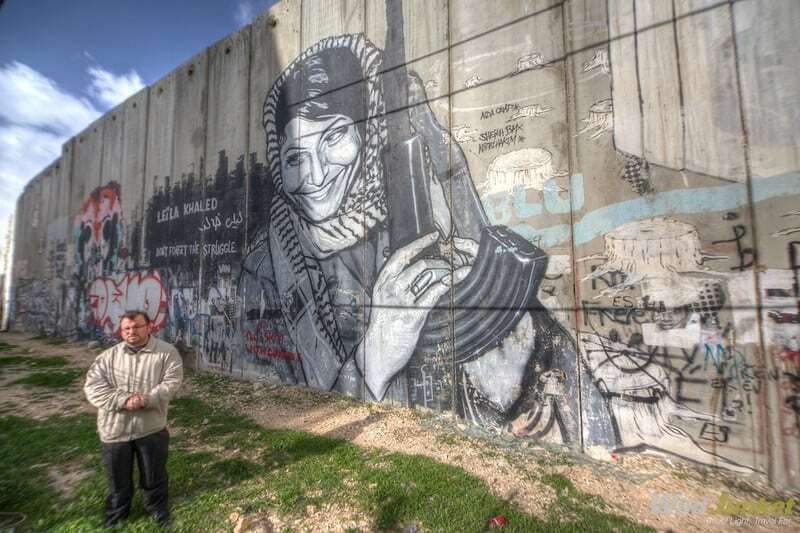 Visit Bethlehem, see the West Bank Barrier and Banksy’s art, taste some local beer at the Taybeh brewery — there’s plenty to do here in Palestine. 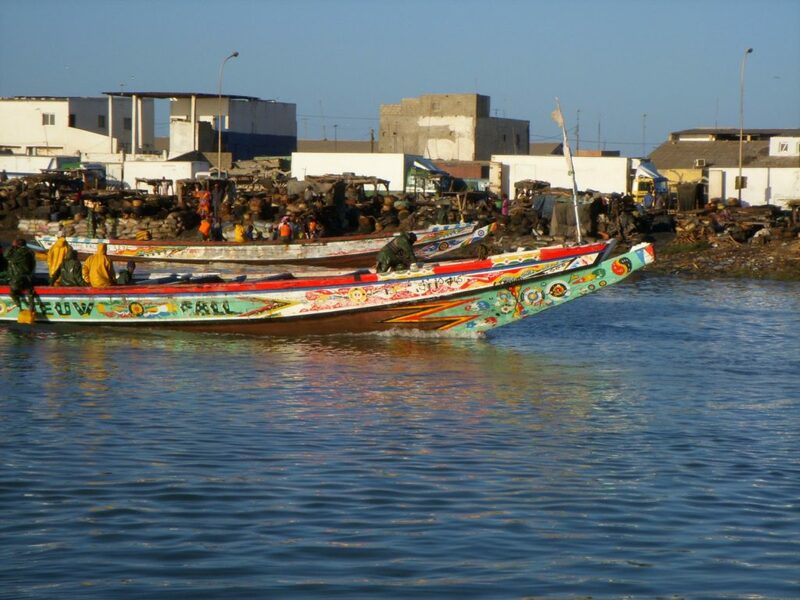 Saint-Louis, an island in Senegal’s northwestern corner, has had many incarnations. Until the early 19th century it was a major slave trading center, and before Senegal – then known as French West Africa – became independent, it was the country’s capital. Once the capital moved to Dakar, Saint-Louis went into genteel decline, revived when its Old Town was designated a UNESCO World Heritage Site. The city has kept much of its French colonial atmosphere: wooden shutters, pastel-colored buildings and wrought iron balconies are reminders of France’s former glory. 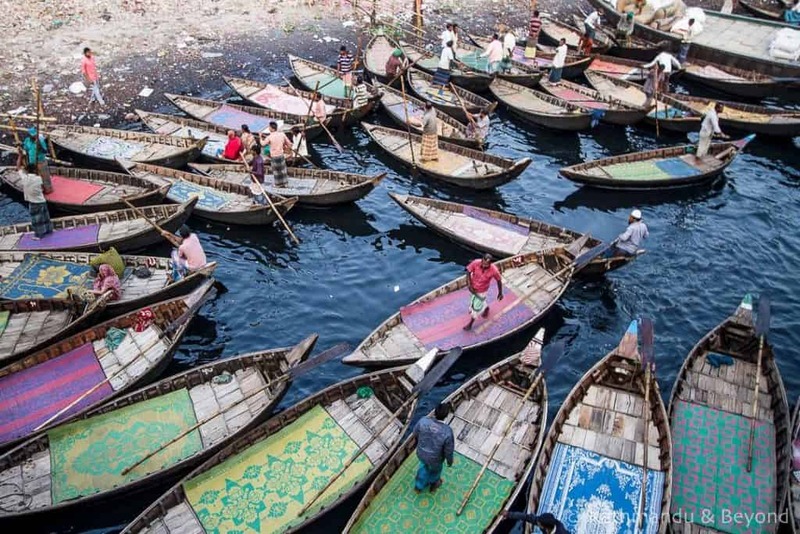 Wedged between the Senegal River and the Atlantic Ocean, Saint-Louis is home to a large contingent of fishermen, whose 4000 brightly decorated boats head out to sea at dawn each day. What was a dilapidated town is now reviving, with old buildings being restored and music festivals attracting visitors and bringing energy to the city. Although being a regular guest on travel security warning lists of dangerous countries, Sudan is totally safe to travel with exception to Darfur region. Until the separation of South Sudan in 2011, Sudan was the largest country in Africa, covering 8% of the African continent. Despite the size of the country, tourism is still developing and Sudan seems like a sleeping beauty, awaiting to be yet discovered by the rest of the world. 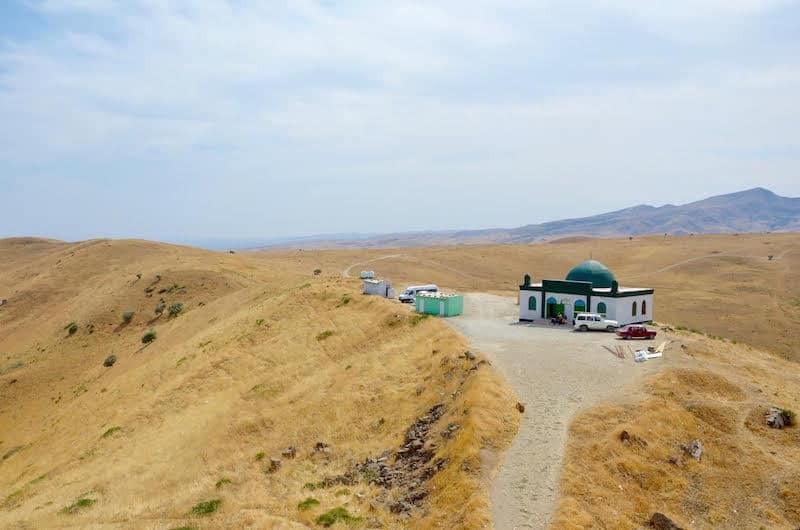 Little known to most travelers as a destination, this Muslim county has something for everyone to enjoy – especially intrepid travelers and history lovers. Desert, river Nile, archeological gems dotted all over the country, ancient pyramids dating back to 700 BC, coral reefs in Red Sea, mountains and coffee in Kassala, and of course humongous capital Khartoum. 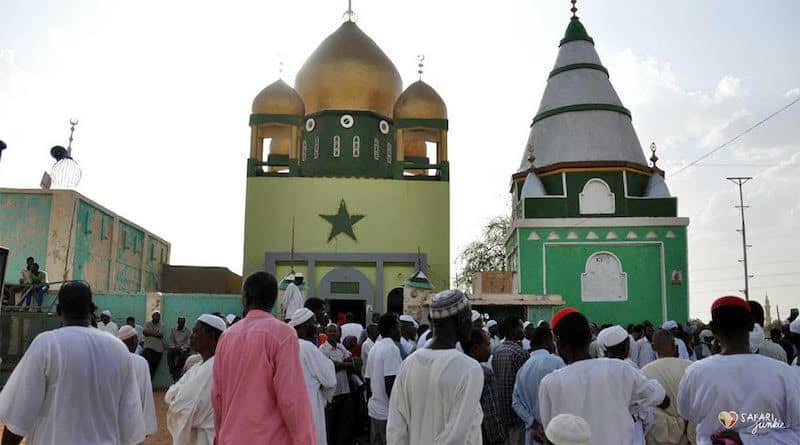 Nevertheless, the main reason to come and visit Sudan is people. Sudanese hospitality already has a reputation among travelers that have been there. And one can only understand true meaning of Sudanese hospitality once experiencing it. On general for now Sudan remains “popularity” with independent travellers and overlanders crossing Africa from Cairo to Cape Town. This shouldn’t be a reason not to visit as there are plenty specialized tour operators offering group tours with private transport visiting all major sites that shouldn’t be missed on a trip to Sudan. I visited Tunisia for the first time in May 2016 with close to zero expectations about it, and I was swept away by it. I found the country to be incredibly welcoming, and totally safe to visit. 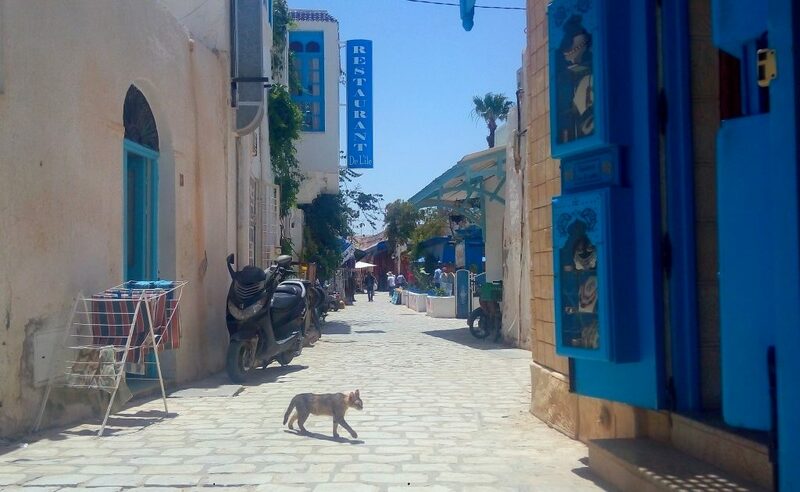 I spent most of my time in Djerba, exploring the beautiful souq, tasting the delicious food, enjoying the street art of Djerbahood, learning about its history and culture and marveling at the beauty of its beaches. I appreciated the cultural mix it offers: there is a strong Jewish minority on the island, one of the largest and best established in Africa, and it was nice to learn that Tunisia is striving to protect their culture and identity although the majority of its people is Muslim. It is an example of integration, coexistence and respect which is hard to find anywhere in the world. 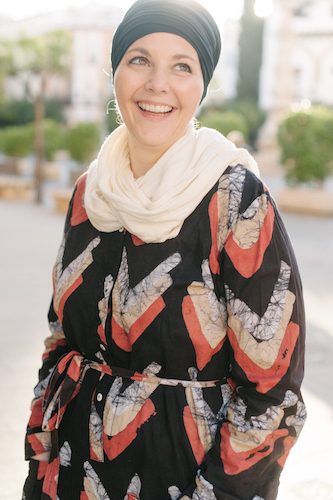 I also visited the beautiful Sidi Bou Said, where I had the pleasure to meet some lovely locals and chat with them. They were welcoming and beyond friendly, and they made my stay even better. If you’ve never seen an image of the Burj Al Arab or the Burj Khalifa you’re living under a rock! Dubai, where both are located, is just 1 Emirate out of 7 that constitute the UAE – United Arab Emirates. While Dubai is the most famous of the lot, Abu Dhabi also has a lot to offer as do the other Emirates. 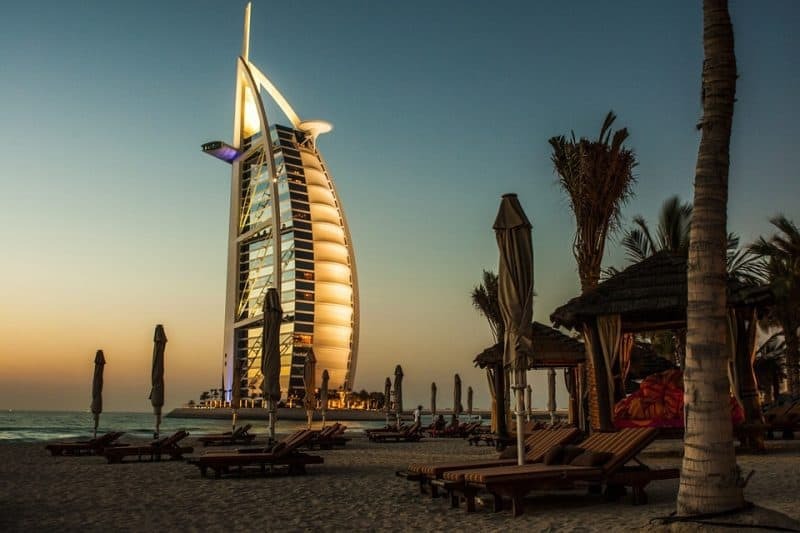 There’s desert, sea and souks, food that caters to almost every palate, structures defying gravity, glorious sunny days and some of the most liberal and lavish folks, to be found in the UAE. There’s no dearth of adventurous activities too! The country is also one of the best when it comes to looking for opportunities to taste global work culture as expats all over the world flock to Dubai! What more can you expect from a holiday or an extended stay? Pakistan is an adventurer’s wonderland… With towering peaks, untapped white water rafting, mystical suspension bridges, ancient traditions and some of the world’s most hospitable people, Pakistan is a truly incredible place to go backpacking. For backpackers on a budget, Pakistan can be explored for just ten bucks a day and it’s easy to hitchhike and Couchsurf across the whole country. Despite garnering a lot of negative media attention in recent years, Pakistan is a very safe destination and Pakistanis are extremely welcoming to tourists… But don’t tell anyone; the longer we can keep this amazing country a secret the better! “East meets West” is perhaps the most cliche description, but there is no other destination that deserves it more than Turkey. After all, it is part Asia and part Europe. I have visited many countries, but there is no place like Turkey because many of the destinations here are otherworldly. Cappadocia with its Mars like landscape, Pamukkale with it’s “cotton castle” hot-springs, Istanbul with it’s fantastic mosques.. and many more destinations within Turkey gave me goosebumps. Being a solo female traveler, I never faced any problem while traveling here. By the time it was time to leave, I had fallen hopelessly in love with Turkey. The tiny country of Brunei is a great destination to visit in the Muslim world. 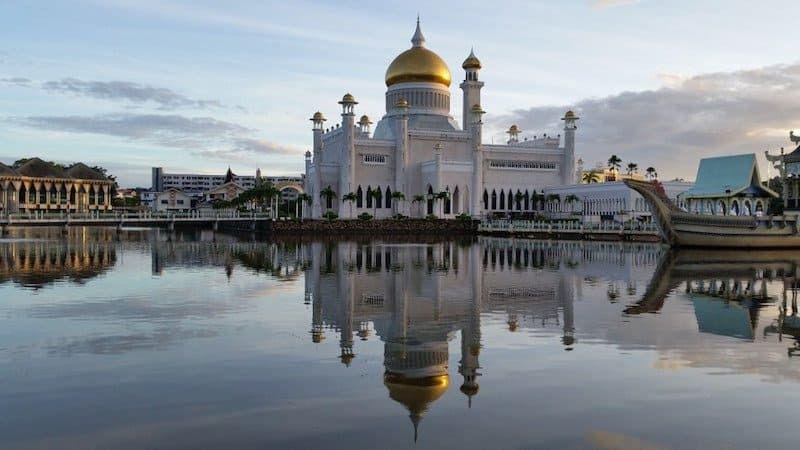 There are many interesting things to see and do in Brunei, especially in Bandar Seri Begawan, Brunei’s capital and home to two of the most beautiful mosques in the world. Surrounded by an artificial lagoon that acts as a reflecting pool, the Sultan Omar Ali Saifuddien Mosque is beautiful both in the day and at night when it is all lit up. Built to commemorate the current reigning Sultan, Jame’ Asri Sultan Hassanal Bolkiah is the largest mosque in Brunei and is another mosque worth visiting. Other attractions in or near Bandar Seri Begawan include night markets, a large park, the world’s largest residential palace and a large network of stilt villages. I found Brunei to be one of the safest and most pleasant countries I have visited and the locals friendly and welcoming to tourists. Kyrgyzstan is a country like none other. 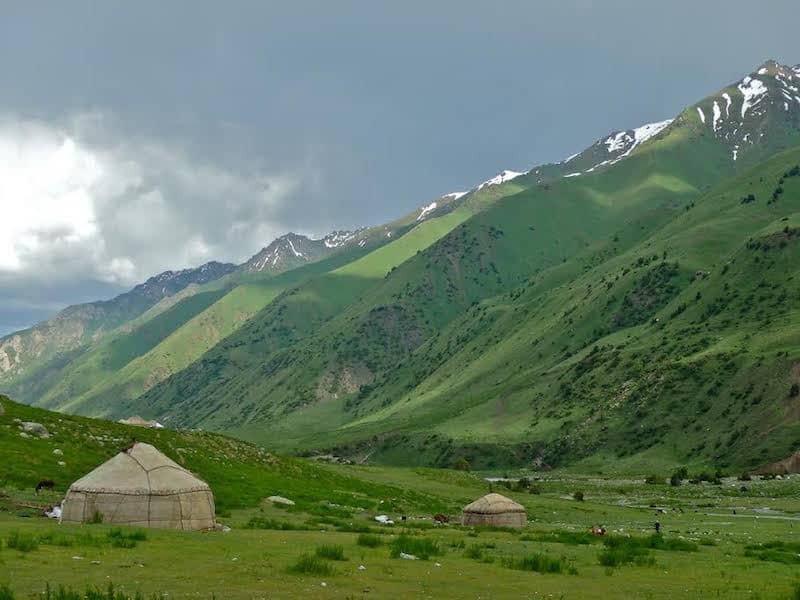 While it is a Muslim nation, it is also post-Soviet and populated by the traditionally nomadic ethnic Kyrgyz folks, as well as the largely agrarian Uzbeks. Put it all together and Kyrgyzstan’s culture and it’s national identity is enchanting for any adventure traveler to explore. Not only is the culture fascinating and completely unique, but Kyrgyz people are so welcoming, being invited as a guest into random homes is not uncommon! Warning: Be prepared to eat and drink vodka! 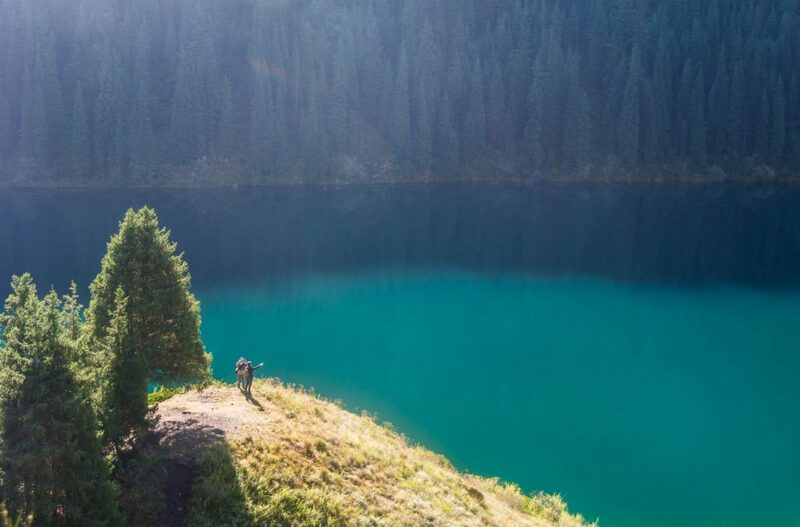 Beyond the cities, Kyrgyzstan is a true outdoors playground. 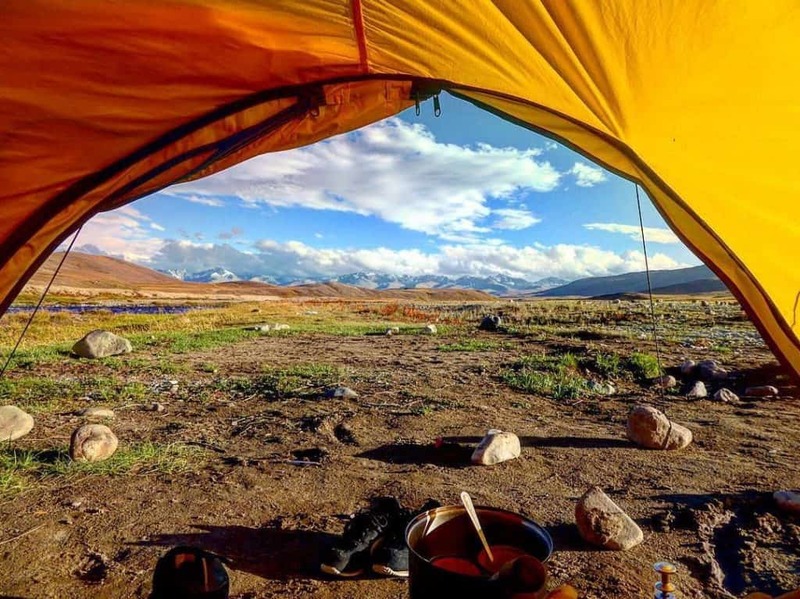 With epic hiking (including the most accessible 7,000+ peak in the world), horse trekking, skiing, yurt camping, jeeping and more, Kyrgyzstan’s beautiful mountains and high elevation pastures are pristine and largely untouched. Not for the faint of heart, but still a very safe place to be, even as a solo traveller! Did you know that Europe has not one, not two, but three Muslim majority countries in it? Albania is one of these three (the other two are Bosnia and Kosovo), and it’s simply stunning. 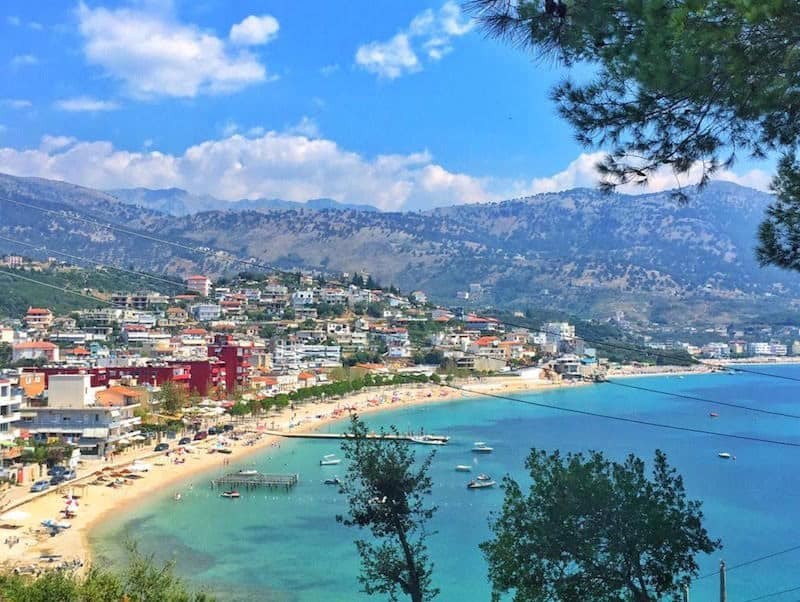 It has an amazing coastline, nicknamed the Albanian Riviera, stunning mountains that are perfect for hiking, gorgeously serene lakes, Roman ruins, and amazing Ottoman-era “museum cities.” Plus, Albanians are some of the most hospitable and caring people you’ll ever encounter anywhere! About 60% of Albanians identify as Muslims. However, it’s also a secular country as a result of many years of imposed anti-religious communism, so you won’t see many women in headscarves, and alcohol is available everywhere. Still, mosques dot the cities and towns everywhere you look, and religious tolerance is key to Albanian identity. There is also a sizable Orthodox Christian population, and interfaith marriage is common due to the country’s history of tolerance. People say that there is nothing to see in Kuwait, but that is not entirely true. There are plenty of places you can spend the day aside from the mall. 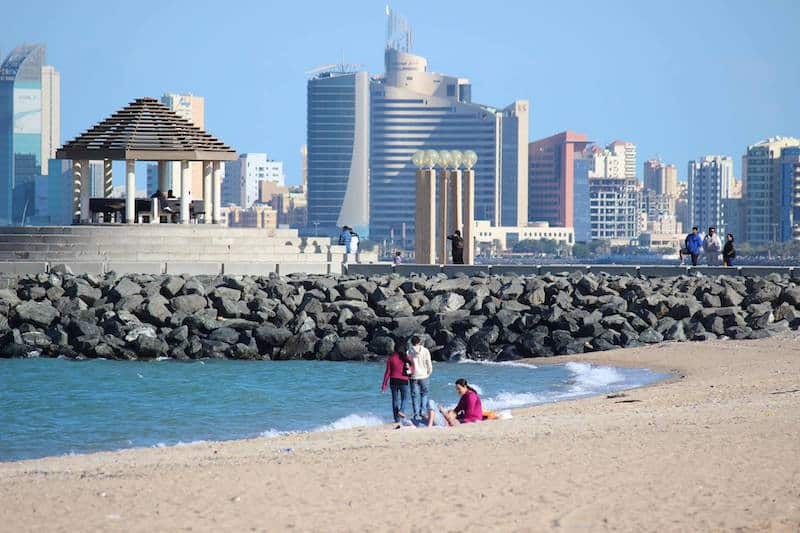 The key to enjoying Kuwait is in immersing yourself in the day-to-day activities and finding out how Kuwaities enjoy themselves there. On top of all the paintballing and movie theatres, you could try smoking a traditional sheesha, or hukka pipe, go shopping at one of the souks, discover a perfect deserted Kheiran Beach next to the Saudi border and even go wild camping in the desert! If you really want some good old fashioned tourist entertainment, then there’s still a few museums and a house of mirrors to visit! Give Kuwait a chance, you’ll be glad you did! Why should you add The Gambia as one of your travel destinations in 2017? The Gambia is one of the smallest countries in West Africa. If you’ve never been to Africa, then this should definitely be an experience you should do! I highly enjoyed my last trip to Africa. People are very cheerful, friendly and they are always dancing. Plus yes! They do speak English. The nature and landscapes around the country is definitely spectacular for day trip visits. You can visit the jungle and watch different animals like crocodiles. There are nice and long beaches. Local food is great with a lot of fish and seafood. As a Muslim country, it should be nice to visit at the end of the Ramadan, like I did. People will invite you to join and enjoy their parties. You can enjoy as locals do – praying, cooking and eating local food, playing Djembe and of course, dancing. The jazz festival in Saint Louis, Senegal is a MUST on any Africa bucket list. 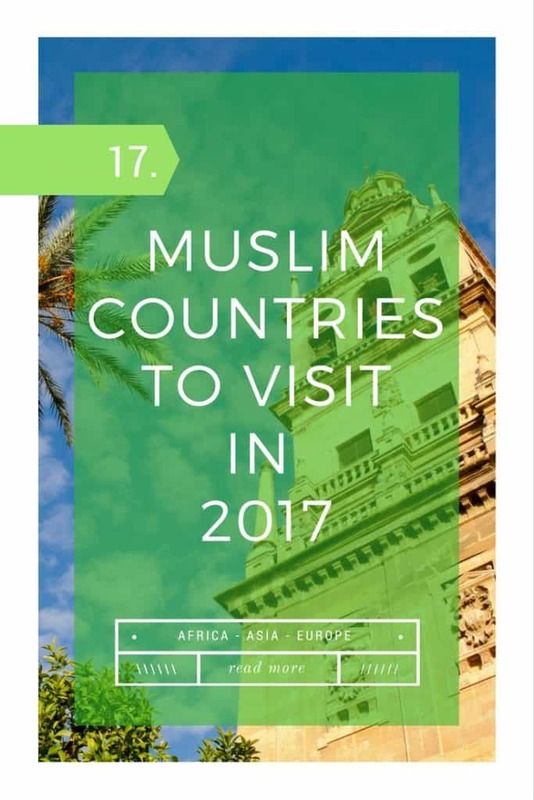 Great initiative to encourage tourism in Muslim countries. I have spent much time in Morocco and would not hesitate to return. Ordinary Muslim people are not the problem but do suffer if tourism dwindles.